I don’t pretend to know everything about life. Hell, sometimes I don’t even know where my car is parked. 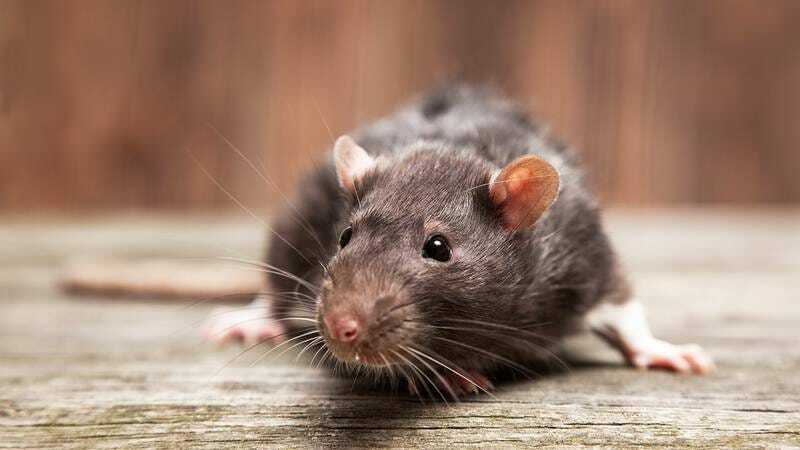 But there are a few things I’ve learned in my five-plus decades on this planet, and this one is on the top of the list: As hard as it can be to remember at times, there are some things in life that are just more important than rats. Young people, you might not want to hear it, but it’s true. Once you get past rats, you’ll start to see that there’s a lot more out there for you. We’re all only human, and in life, it’s easy to get caught up in the day to day. Take it from me: I’m a father, an accountant, and a 53-year-old man who spends most of my waking hours thinking about anything and everything rats. I love getting down on the ground in the alley behind my house to watch the impossibly quick scuttling of rat feet on the pavement as much as the next person. But I also know that when you’re lying on your deathbed, you don’t want to be looking back on a reel of memories that’s just rats, rats, rats. You want to remember joy, family, love, and a few of the rats that were most important to you. That’s just the simple truth—hear me now and believe me later. Yes, I’m a family man. But if you think that makes me immune to the lure of the beguiling rats that congregate around the trash bins at the end of my driveway, you’re crazy. We’ve all been there—I could be reading to my kids or having dinner with my wife, but instead I’m spending hours at a time researching foods that promote rat health, or going down into my local train station to blow a kiss to every rodent I see. I’m not saying that none of your days can be focused on rats, but I’ll tell you this: When you’re done helping your son with his science project, all the rats you keep in an oversize dollhouse in your basement will still be there. There may even be more of them. Listen, I get it. You’re young, you’re hungry, you’re ambitious. You’re thinking, “If I spend enough time looking up pictures of rats on the internet today, maybe 10 years from now I’ll live in a house with watercolor paintings of rats, made by rats, hung and framed on the walls. Maybe I’ll have a rat enclosure named after me at the city zoo.” It’s a perfectly natural impulse. But I’m here to say that you’ll get there in time. Put down the litter of baby rats you found under a neighbor’s porch on your way home from work and pick up a book. Or go for a run in the woods. And remember, you might meet a rat, but if you don’t, you don’t have to get upset. I learned this one the hard way: Spending all day crying because you went for a jog and didn’t see a single rodent is nothing but a waste of your valuable time. Life is precious, and as you get older, you start to realize that in many ways life is long. It’s full of room for things besides just the rat-related concerns that are always in the back of our minds. Rats’ pointy noses, wiry fur, and beady black eyes can bring you a great deal of joy, but so can a sunny day, a new friend, or even a great film that has a couple of rats in it but isn’t specifically about rats. You have so many great years ahead of you, so here’s my suggestion: Get out there and live your life without worrying when you’re going to make eye contact with your next rodent, or when you’ll be able to read the Wikipedia entry for “rat king” for the 100th time. You might not think you can do it, but I know that you can. From the bottom of my heart, I wish you the best of luck. And if you’ll excuse me, I have a life to go live.